My partner is Turkish and her family are from Antalya and we go over every year to visit. Antalya is primarily a tourist area and has grown and changed a great deal over the past ten years. With the expansion of huge mega hotels along the coast and new apartment blocks being built over old houses to maximise space, there is a surge of businesses, large and small that work out of these apartments. 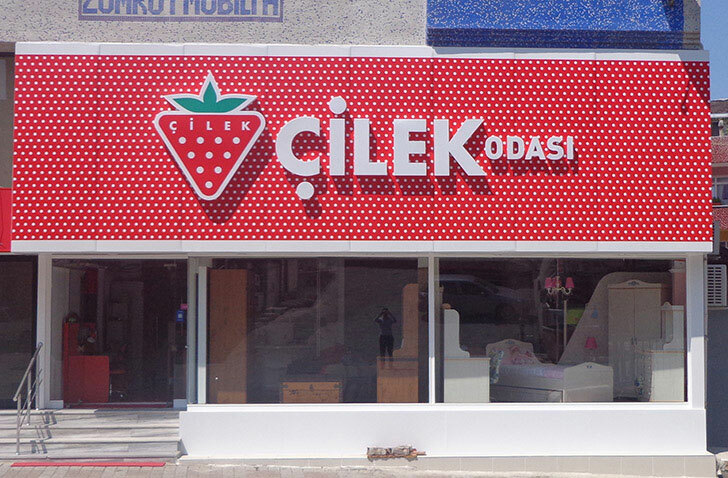 (translates as strawberry) is a modern furnture shop from Turkey. They have lots of shops and stores. I love the bright colours and clean graphics of their logo and brand identity. It really pops out from the street scene. 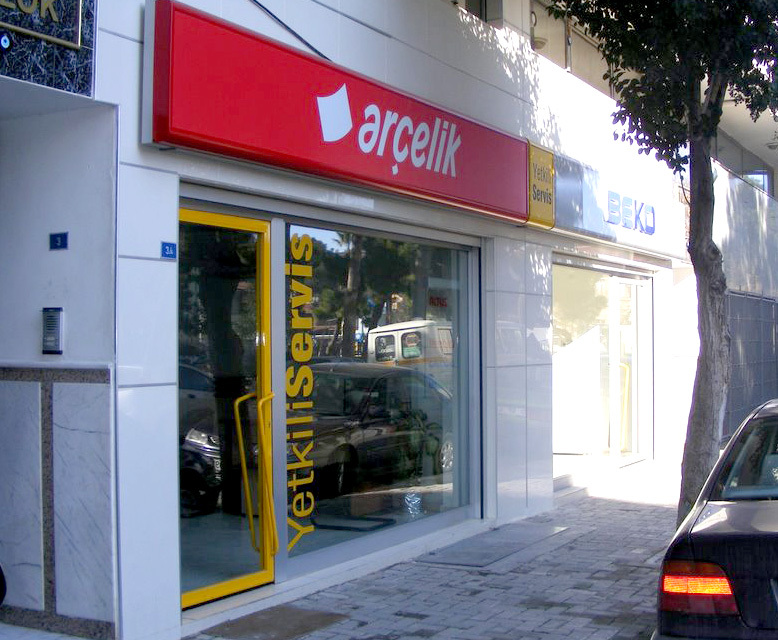 Arçelik & Beko are household brand names in Turkey – you may even have a Beko fridge in your kitchen. They’re everywhere now. I like the friendly typeface created for the new Arcelik logo. 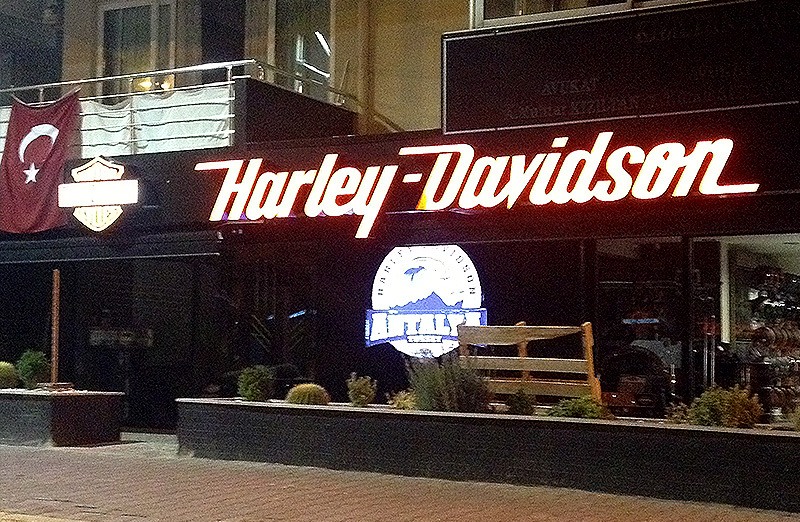 This is a Harley Davidson motorbike shop opposite where we were staying in Antalya. 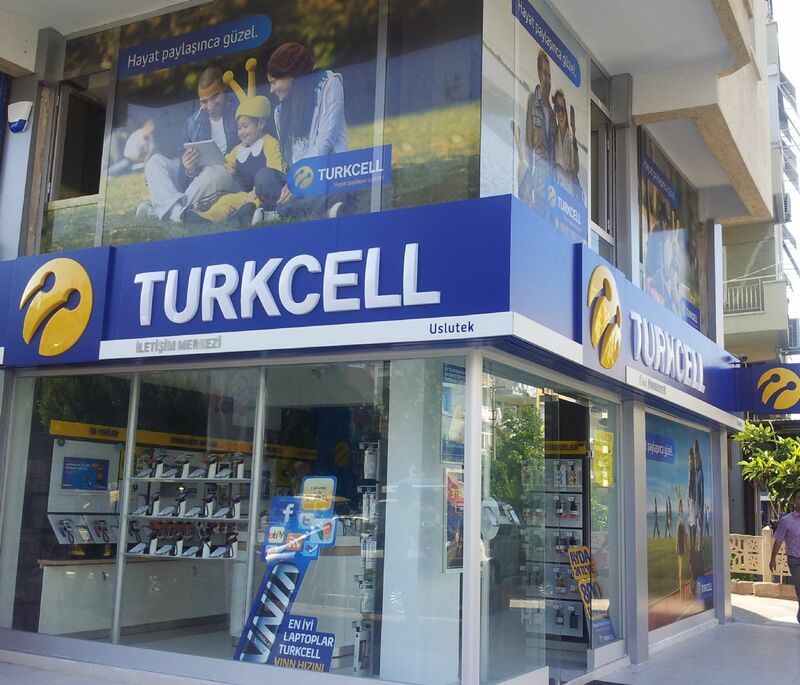 It is a worldwide brand and they have got very popular recently in Turkey. Fuse Tea logo branding on can. This is a new drink and their brand was everywhere from advertising banners, beach parasols and signage. And it is a very refreshing drink. 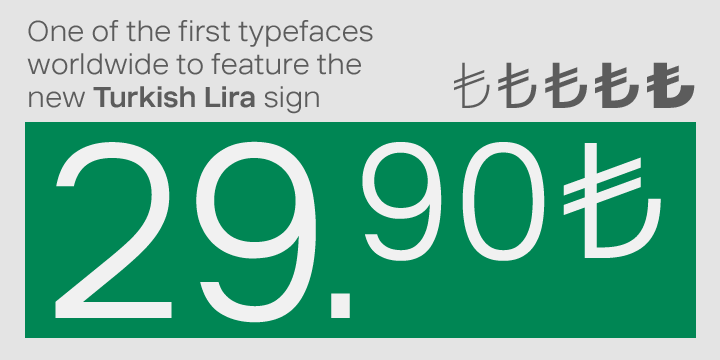 Finally, the new Turkish Lira sign is now being displayed in all the shops. (Before this standardisation, it was a mix of ‘TR’ or “TL”). The lowercase ‘l’ and the ‘t’ combines nicely with the double stroke in the symbol. 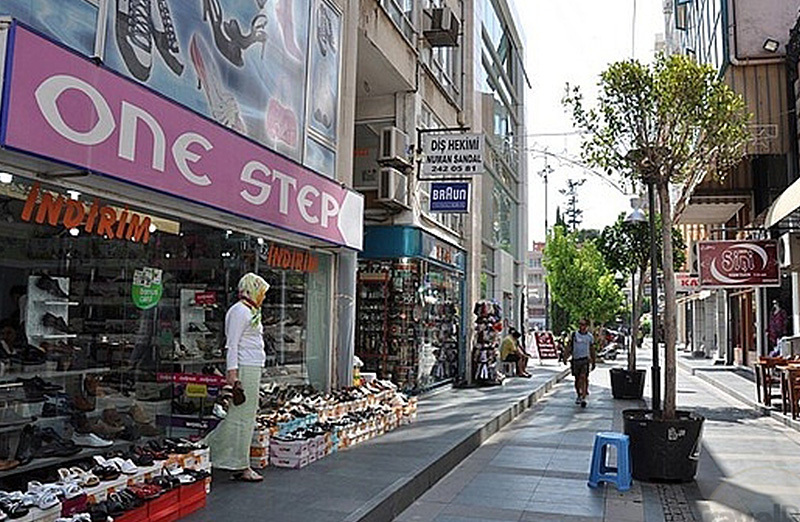 This entry was posted in Design and tagged logo design, shop sign, signs, Turkey, turkish brand.